Learn how to amplify electronic drums with this complete guide. We will look at the pros and cons of some the different options including amps and PA systems. 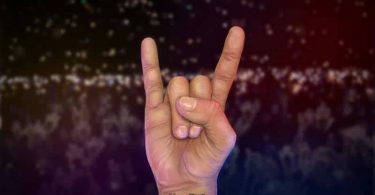 I’ll also guide you through the easiest ways to connect your electronic drum set for amplification. 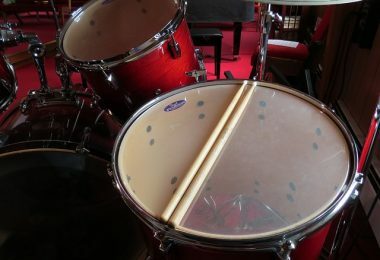 Electronic drums are good for silent practice, but what if you want to jam with other musicians or take your drums to a gig? Or maybe you just don’t like headphones and you’d rather be able to amplify what you’re playing. Your options for amplifying your electronic drums essentially come down to using a PA system or an drum amp. 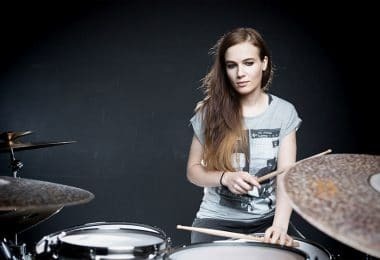 Each have their own benefits and drawbacks, so let’s take a look at the pros and cons of each and see how they can be hooked up to your electronic drum set. With drum amps you are going to be getting the best bang for your buck. You’ll get a huge subwoofer, it’s in a nice compact unit, and the price is going to be a lot cheaper than if you were to get a PA system. You can get a really nice E-Drum amp at around $300-$400 while a decent mid-level PA system can cost upwards of $700-$800. 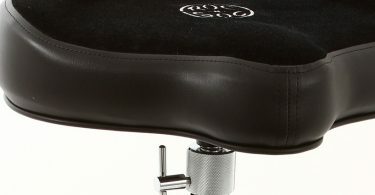 Since they are specifically made for drums they tend to sound pretty nice for what you are paying. While guitar amps are geared more toward the mid-range frequencies, drum and keyboard amps need to be able to cover all frequencies. You’ll usually have knobs to EQ your sound, as well as having options for 1 extra input for another instrument. ​Drum amps are much simpler in terms of connections than a PA system/mixer. You’ll pretty much always just be using a ¼ inch cable to go from the “direct out” on the back of the drum module straight into the amp input. Use just the L Mono connection, or use both L and R if your amp supports it to take advantage of panning and multiple speakers. It’s important to make sure that you are using an amp specifically made for drums or keyboards. Using a guitar or bass amp won’t cut it since they aren’t designed for all frequencies. ​Guitar amps are designed more for mid-range frequencies, while bass amps lack the high end of the spectrum which is essential for things like cymbals on the drum set. If you decide what you want to go with an electronic drum amp, I suggest checking out the ddrum DDA200 200W ​Percussion Amp. Sometimes the lower powered 50w drum amps aren’t going to cut it, so going up to the 200w range is a wise investment and will allow you the ability to play at greater volumes if need be. If you like the idea of having multiple speakers, the Simmons Electronic Drum Monitor System is a great way to go for the same price. Other than being able to take advantage of panning with multiple speakers, the cool thing about this is that you can store the speakers right inside the subwoofer making transportation a bit easier. Although more expensive than drums amps, PA systems are going to be much more flexible. While drum amps can handle only 1 extra input for another instrument, a PA system has pretty much unlimited extra connection potential. Say for example the band wants to come over and practice at your place. If you only have a drum amp there isn’t much you’ll be able to do, but having a PA system will allow the entire band to hook into it and jam away. Or what if you are going to play at a small-mid size venue and the main sound system goes out? Even just have a small PA system to bring along with you will be a huge benefit since it will be able to fill up the venue easily with a large amount of sound. In addition to just powering drums, it can also be used in many other situations like hooking it up to your phone, a turntable, or anything else for that matter. The only real negative thing about a PA system is that you won’t be getting as much bass as you would with a drum amp, unless you spend a fair bit of money to get a nice extra subwoofer. The subwoofers in low-mid level PA systems out of the box generally aren’t going to be as big as those found in amps. The sound quality is going to be fantastic though, and you’ll be able to reach much louder volumes with a PA system. The tricky thing to keep in mind is passive vs. active speakers. If you buy active speakers, they can be hooked right into a mixer and you are good to go. With passive speakers however, you’ll need to run them into a speaker amplifier before going into your mixer. In addition to this, it’s important to make sure that your amplifier can handle the total amount of watts coming from your speakers (combined). 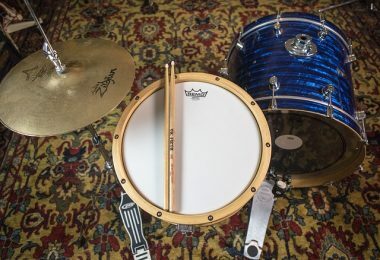 When it comes to the question of how to amplify electronic drums, the easy way to go here and the path I recommend is just buying a PA system with active speakers so you don’t have to worry about all that. In terms of recommendations, I highly suggest going with something like the Yamaha STAGEPAS 400i which comes with it’s own mixer. It doesn’t include a subwoofer, but I think it’s good to start without one and then add one later on if you think you need more low end. Electronic drums can plug into a soundboard (also called a mixer) in 2 different ways. On pretty much all electronic drum modules there will be a ¼ inch L and R outputs, with the L being mono. Basically all this means is that you can use one cable connecting from the mono output to the mono input on your mixer, or you can take advantage of some slight panning by using both the L and R outputs. 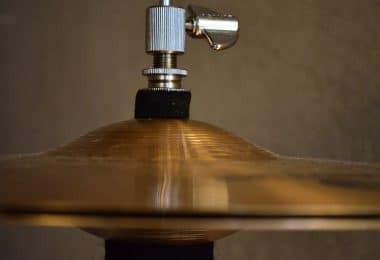 Generally, things like the snare and bass drum will be panned dead center, but the ride cymbal for example might be panned a bit more to the right speaker since it’s usually on your right side when sitting down at the drum set. 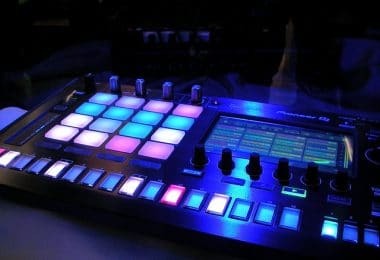 You can of course control the panning to your liking as well on your drum module for each kit piece. The second way to plug electronic drums into a mixer is with an XLR cable. The big benefit of using an XLR cable is that you can use a very long wire and not have to worry about signal degradation. Using a long ¼ inch guitar cable can often lead to warping and extra noise in the signal. So how do you convert a ¼ inch cable into XLR in order to plug into the mixer? The answer is with a direct box. Basically a direct box (also called a DI box) is a small box with ¼ cable inputs, and an XLR output. You can plug your drum module into the DI box via ¼ inch cable, and then run an XLR cable from the DI box to the mixer. Keep in mind that some DI boxes only have 1 input meaning the signal will be mono, however you can buy ones that have 2 inputs giving you a stereo sound, or you can use 2 DI boxes - one for L and one for R.
I highly recommend having a direct box in your bag even if you think you might not need it. The reason is that a lot of cable snakes at venues only support XLR inputs and you’ll be out of luck if you don’t have a DI box with you. A cable snake is basically what everybody on stage plugs their gear into. This, in combination with the ability to use a super long cable with no problems are reason enough to carry one with you. If you don’t have a direct box yet, the Radial Engineering ProAV2 is a solid choice. It’s what I personally use and it has stereo inputs as well as the ability to eliminate buzz due to ground loops. If you happen to have a mid to high tier drum module like the Roland TD-50, you will have the ability to have a direct output for each one of your drums like snare, bass, and toms on the back of the module. This way the sound guy can choose the perfect level for each kit piece to mix in with the rest of the band. In this case you would just run a ¼ inch cable from each direct output into either the cable snake, or each into their own DI box which will then run an XLR to the cable snake. If you like to keep it simple though like me, usually it’s good enough to just run 1 cable from your mono output on the back of your drum module. For the majority of drummer out there I suggest sticking to a drum amp. It’s the cheaper of the 2 options and you get the most value for your money. Most drummers are just going to want to hear themselves play, so for this a drum amp is perfect for the job. If you’ll be playing a lot with other musicians and want to hook everybody up to one system, a PA system is a great investment if you can afford it. It will allow you the flexibility of using it for other things besides drums and it’s a great option for using as a sound system when playing gigs. In addition, a PA system is going to sound better than a drum amp. Either way you go, both options are going to sound great and you should be able to find something in your budget that perfectly fits your needs.